New families must call to make an appointment to register for the program. New registrations will not be accepted through email. 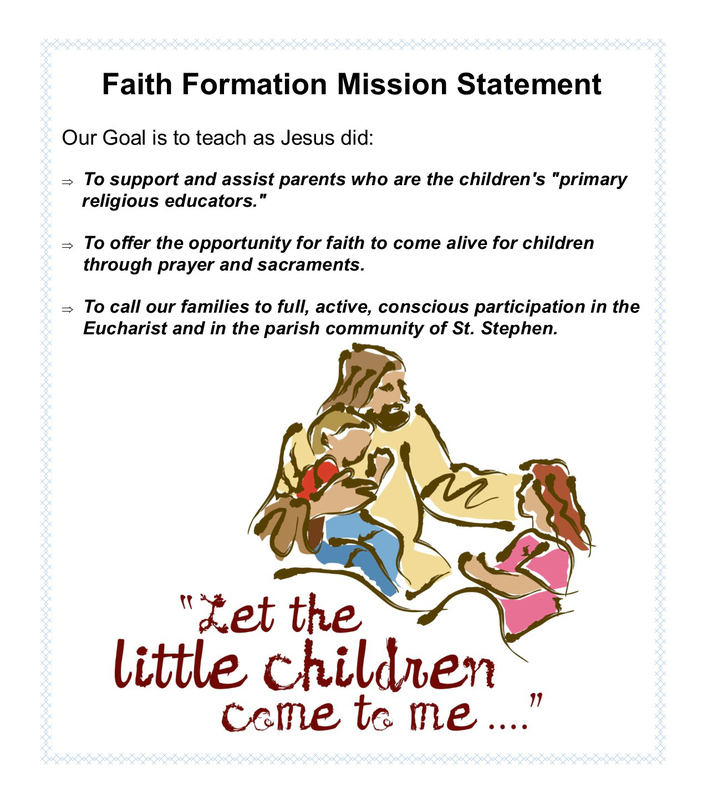 AND, if you are also new to the St. Stephen Parish family, please register with the parish. Please complete St Stephen Census Form, bring with you to your appointment with the Religious Education staff or email to the Parish Office.